PentahoWorld 2017 Concludes With Launch of Pentaho 8.0! Pentaho's annual user conference that gather's Pentaho users, customers, experts and open source business intelligence enthusiasts, PentahoWorld 2017 has just concluded in Orlando, Florida with the release of their next-generation Pentaho version 8.0. 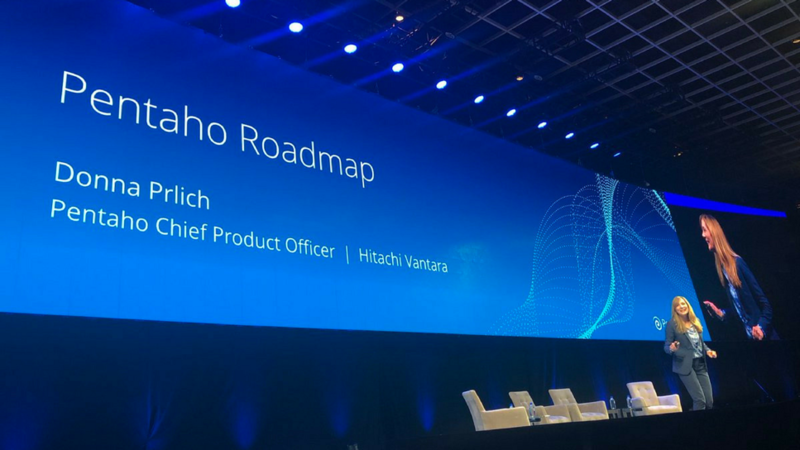 Pentaho's new parent company, Hitachi Vantara announced that Pentaho's latest release focuses on providing real-time data processing for providing immediate digital insights and data visualizations for its enterprise customers. Pentaho 8.0 now integrates with Kafka for real-time data ingestion and Spark for data and stream processing. With the amount of data constantly being generated continues to be on the rise, the challenge for businesses is to make sense and generate value from fresh data as soon as they are created. According to IDC, by 2025, data will be generated at a rate 10 times faster than in 2016 with more than a quarter of that data being produced in real-time. Pentaho's 8.0 release helps customers better prepare their businesses to address the challenge of real-time data through optimizing and modernizing their data analytics pipelines and improving the productivity of their teams. Among the latest features of the new release include improved connectivity to streaming data sources through Spark stream processing, connection to Kafka streams and big data security with Knox. Processing resources are also optimized as Pentaho 8.0 provides worker nodes to scale out enterprise workloads, adaptive execution enhancements, native support for Avro and Parquet as well as new features aimed at boosting team productivity. Hitachi Vantara's Pentaho 8.0 release will be available starting from November 2017.